LET ME ROCK YOUR BUSINESS! Are you desperately trying to keep your head above water while juggling the everyday responsibilities of your (online-)business? Have you created an online course, an ebook or want to share the awesome things you know in any other way? Do you want to share your knowledge, train or educate your clients because you rock and know your stuff but are not sure if everything is as comprehensive as it should be? Do you need assistance with anything design related – let it be logos, business cards, print material, social media graphics – you name it? My name is Monika, and you can stop looking for someone else right now! Are you overwhelmed with all the things you need to do in your business? You can’t handle Social Media by yourself anymore? You really don’t want to do all this boring graphics by yourself? You have something to share with the world, but know next to nothing about the learning experience of adults? Is everything coherent? You can not see the forest for the trees? Did you use Microsoft Word to create your logo? Did you use Word Art or Comic Sans? Tired of the boring and outdated CI you have and want to try something new? Monika is a very talented person. I was very lucky to have met her while she was studying in Graz at the University. She approached me after our class and asked me if she could work for me. Since then I have Moni in my life! She is a wonderful graphic designer and creates DVD booklets, graphics for authoring (chapters etc.) and CD labels (and more). She is creative, quick, motivated and above all the technical skills she is fun and great to work with! 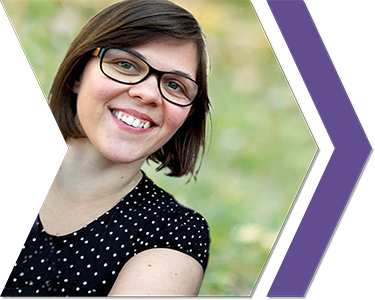 If you need a person who knows her technical stuff AND understands what you have planned – contact Moni! If it won’t work, hand it to Moni. Moni is a “No nonsense” person, she will even look out for your stress levels! Walk your dog! And let her walk Yoshi! Want to get to know me? Read my blog! 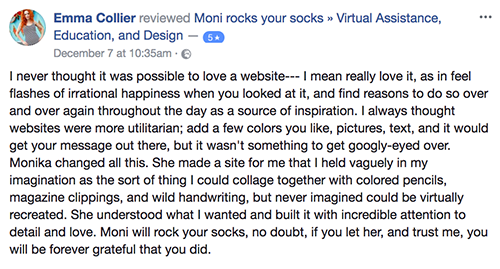 © 2018 monirocksyoursocks.com by monika rabensteiner & yoshi the poodle ??? ?